Carton sealers are an efficient tool to save production, material, and labor costs; increase output; or create a stronger package. It is vital that the carton sealer you will purchase serves the needs of your company and industry. Investing in carton sealers needs research and effort before purchasing one. Know your budget. It’s easier to know what you want and need when you’ve set the limit of how much you are willing to spend on your carton sealer. 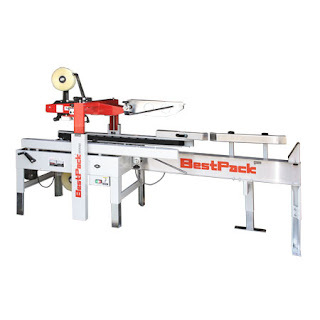 Carton sealers will efficiently package your product, lessen motive injuries, and aesthetically improve your packaging product. Vertical style cartooning equipment is suited best for granular and free-flowing products such as cereals or cough drops. Decide whether you would want an automatic or a semi-automatic carton sealer. Automatic carton sealers automatically detect height and width, folds flaps, and seals boxes, and are an effective means of reducing production cost. Knowing what speed is needed depends on the product to be packaged. Different speeds are likewise required for online packaging or offline packaging. Online packaging is when packaging hap pens at the same time the product is manufactured, while offline packaging means packing from existing items. Be realistic as possible when setting the speed of your carton sealers. Search for suppliers with the best packaging equipment solutions. At this point, because you know what you want, it will not be difficult to search for carton sealer manufacturers that can best suit your needs. Always keep in mind, accept suggestions from professionals and communicate what you want to achieve with the carton sealer you are planning to purchase.